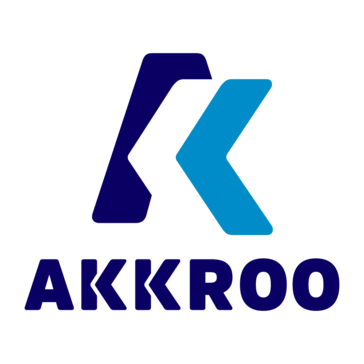 Akkroo has all the functions we need to capture leads in the event / workshops. It is very user friendly, and simple to setup. The best of all, we have a dedicated Customer Success Manager who is very responsive and competent. She guided me in setting up the form, integration with developer kits from event organizer, making sure that data transfer successfully to our CRM, and resolved many issues and questions all the way through. Nothing so far. I think there are still rooms to make the app even better. For example if they can further develop the app so that we could apply multiple logics to a field. With Akkroo, we move away from the time consuming way to capture leads on paper and entering data in our CRM system manually afterwards. Leads are now captured electronically and transferred almost instantly to our CRM for our sales reps to follow up. "Easy, reliable and event changing." One of the best things about Akkroo is that it collects and stores data without a wifi/3g connection. It's easy to set up. Forms are fully customisable meaning they can be fully branded to suit your businesses needs. Simple export post event into a smart excel sheet. Really easy to use interface for both colleagues and delegates. Data and leads management made easy. There's not really anything I dislike. It saves us time, it saves us admin meaning we can focus on the more important things. Resource. With Akkroo we're able to save a lot of time and money with the time we save with Akkroo. We collect the data from events, we have it all in a centralised pot, we upload to our ESP and then we automate our marketing. It's just a lot easier with Akkroo and it means you save a load of money on data at events, since it all works offline. To be honest I cannot say there is anything I dislike about the product. We have used many capture system and I can easily say that this is the best one! We were looking for real time updates access to our Marketo and Salesforce systems during trade shows. This allows us to track lead taking during the day. It also allows for accurate data input into those systems. Our sales team can now capture details at event quickly and easily without our ops teams being held hostage to adhoc charges for in-event solutions which will not integrate with our CRM. From my job perspective, I like how easy it is to go in and find events and test the integration with our marketing automation platform. No big issues I can think of with this software. Capturing leads from events in real time and syncing them over to our marketing automation platform - getting them to reps as soon as possible. This app has allowed our team to accelerate the time they take to put in contact information by 10x. N/A the support team and product are top notch. We have a very event heavy business model on our marketing team. Having Akkroo with the Salesforce integration has allowed our team to get their contacts in the system much quicker allowing for our marketing team to see the events success as well as our business development team the ability to follow up with leads faster. * We monitor all Akkroo reviews to prevent fraudulent reviews and keep review quality high. We do not post reviews by company employees or direct competitors. Validated reviews require the user to submit a screenshot of the product containing their user ID, in order to verify a user is an actual user of the product. Hi there! Are you looking to implement a solution like Akkroo?